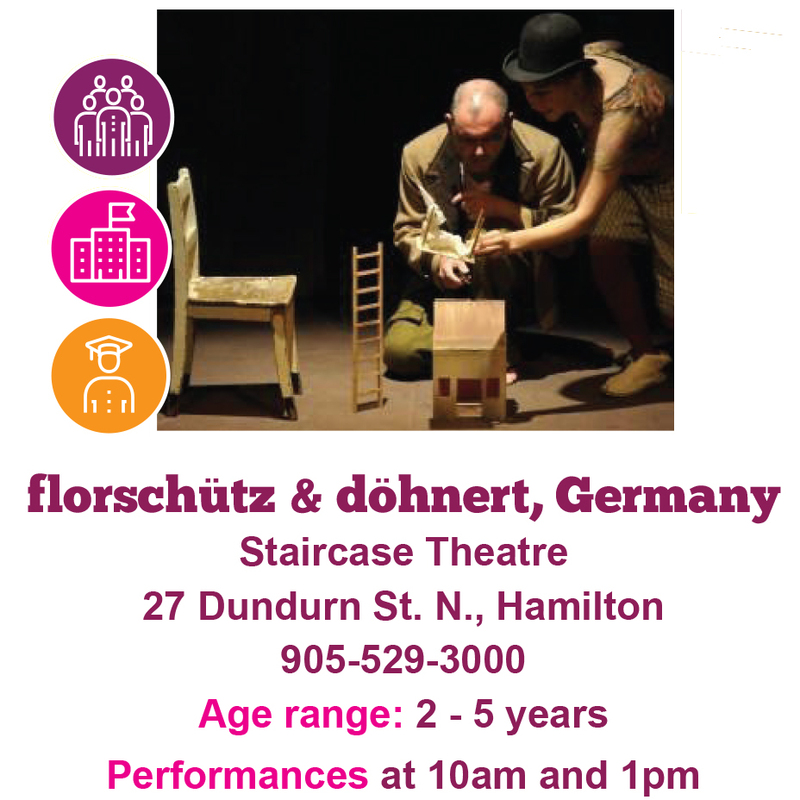 Kinderfest is an intimate multi-arts festival that supports the emotional and intellectual development of children ages 0 – 6 with aesthetically rich performances designed to captivate and stimulate young minds. 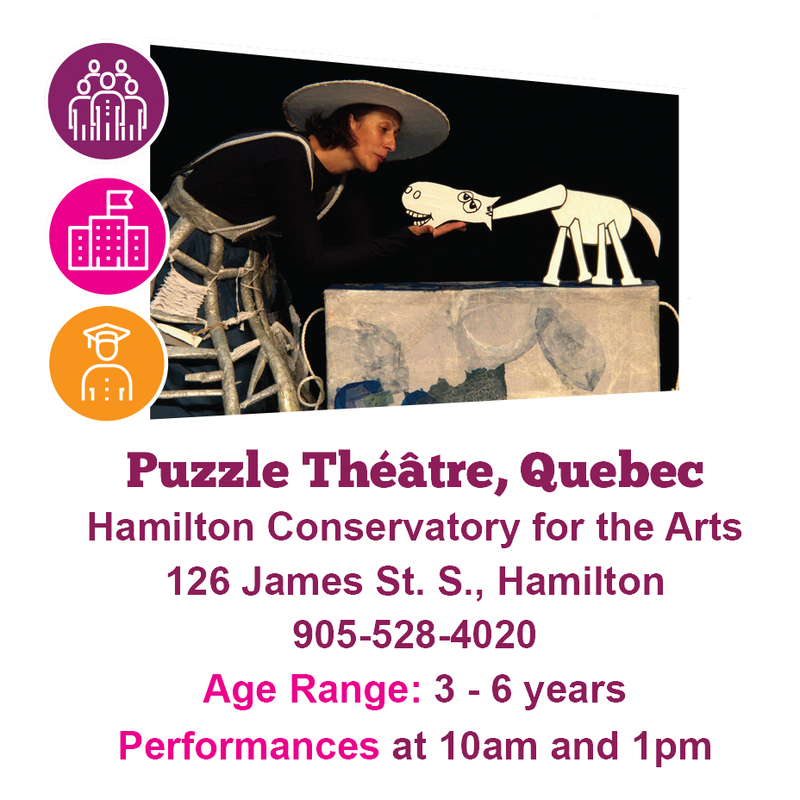 Culture for Kids in the Arts’ KINDERFEST returns for a third year extraordinary performances from Germany, France, South Africa and Quebec especially for Hamilton’s youngest audience! Limited tickets available. To support the presentation of innovative arts experiences to infants, the KinderFest partners with the WeeFestival of Theatre and Culture for Early Years to bring internationally celebrated artists and arts companies from Canada and around the world to our community to deepen the network of early years arts activities across the region and to share artistic expertise, knowledge and resources. 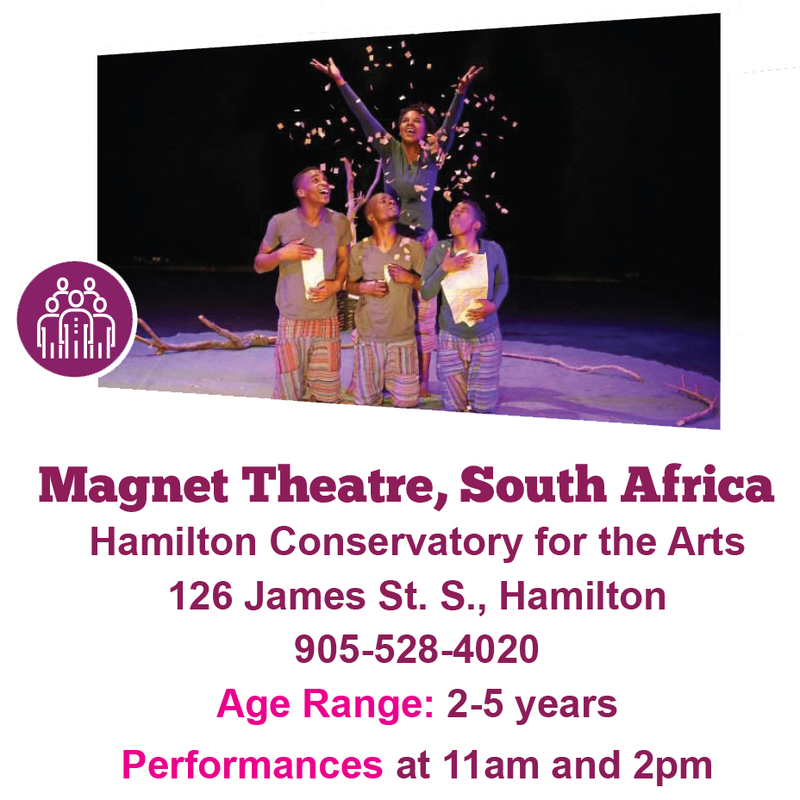 Created by Indigenous South African company Magnet Theatre. Knock! will have young audiences singing along with performers as they explore the creative possibilities of forest wood—asking what it can do and what we can do with it. Strange animals and stories magically come to life with the help of the imaginative storytelling and animation by the ensemble. Out of one of the performers’ many pockets comes all sorts of strange things including a raggedy white rabbit with a love of adventure and magic. This “poetic circus” is filled with delightful objects, live music, and lots of giggles. Enthusiastic and somewhat quirky storyteller Pavla Mano draws the images and brings them to life before our eyes. The story she tells is a story of friendship and sharing. 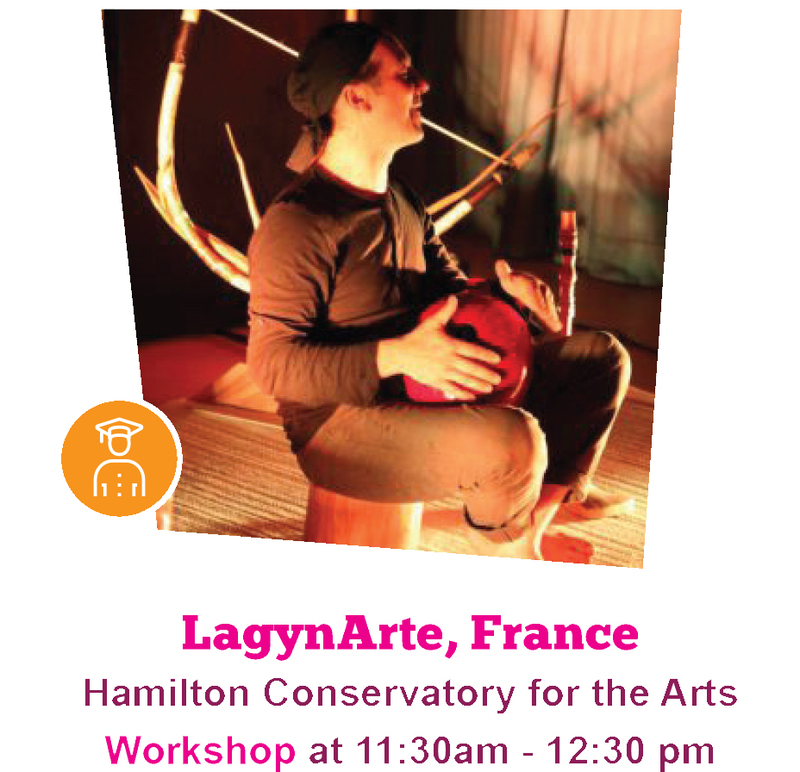 Basque performer Kristof Hiriart is a vocal artist, percussionist, multi-instrumentalist, composer, and singer that blends traditional and contemporary sounds to create an enchanting musical journey for very young children. Buy early! Last year performances sold out!